Chalet Bellavista is the ideal place to have a relaxing break in the nature of the Small Tibet. 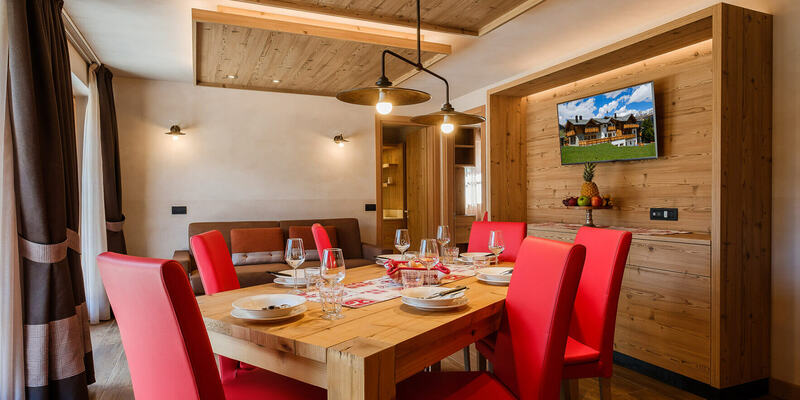 Completely renovated during summer 2016, our brand new Chalet Bellavista has 14 apartments of various types; you can choose from two-bedroom apartments, one-bedroom apartments and studio apartments. 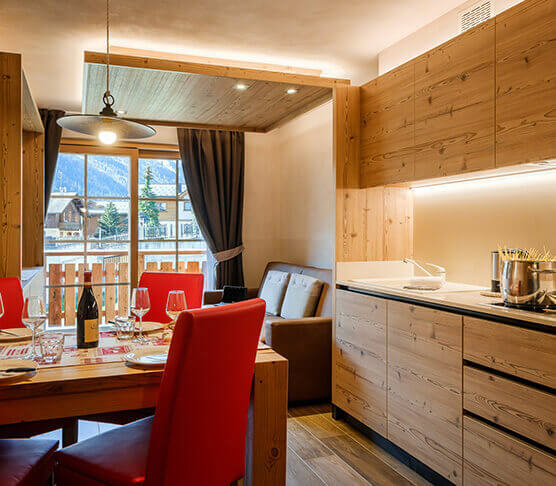 Each apartment is tastefully decorated in modern design, though maintaining a warm and elegant alpine style. 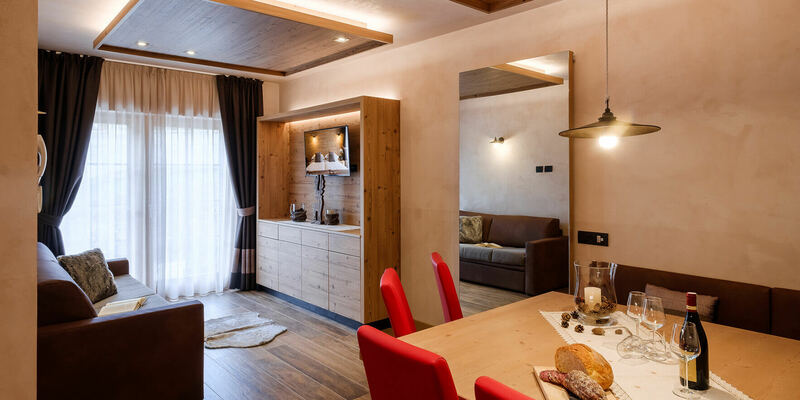 Chalet Bellavista does not accept animals in order to ensure superior hygiene, more peace of mind and an eye towards people allergic to animal fur, plus in all apartments smoke is forbidden. 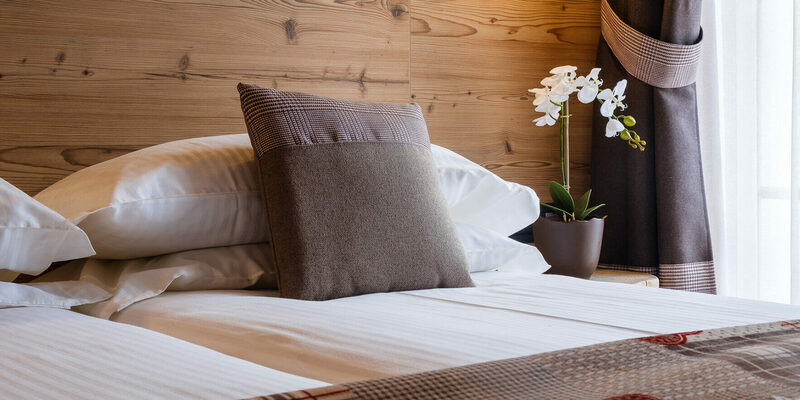 The Chalet is also equipped with a machine for air treatment, which guarantees always clean air and removes humidity. You can also have intercom, lift, ski storage, heated boots and a garage for an extra fee. 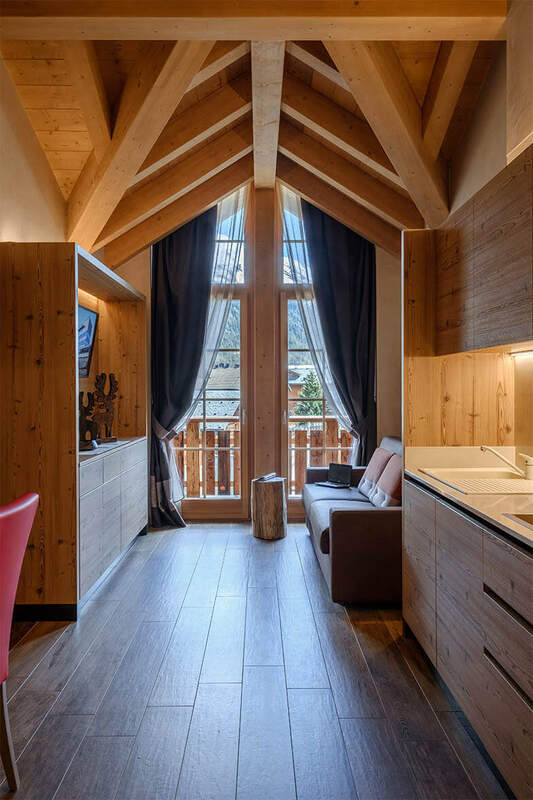 Chalet BellaVista is also a guest house, so it is possible to book rooms with bathroom, but without a kitchen. 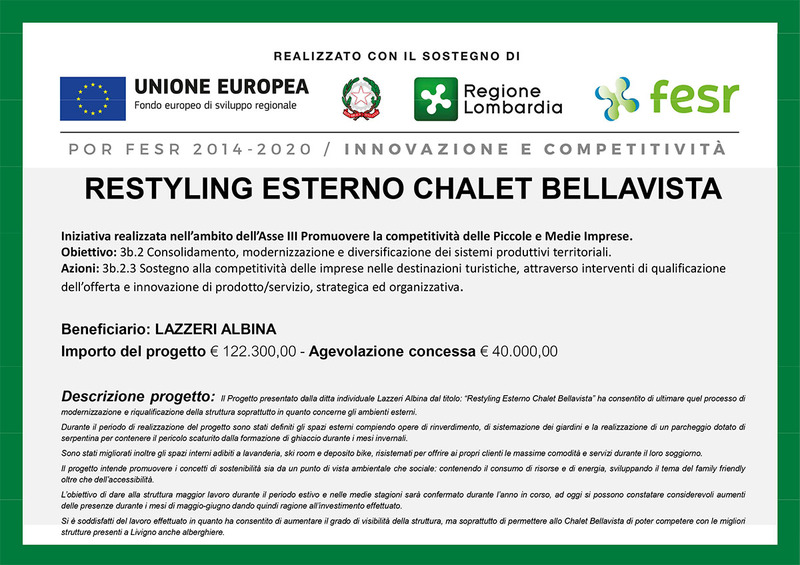 Customers who choose this solution will be able to have breakfast, lunch or dinner at the BellaVista Restaurant located across the street, with a discount voucher. 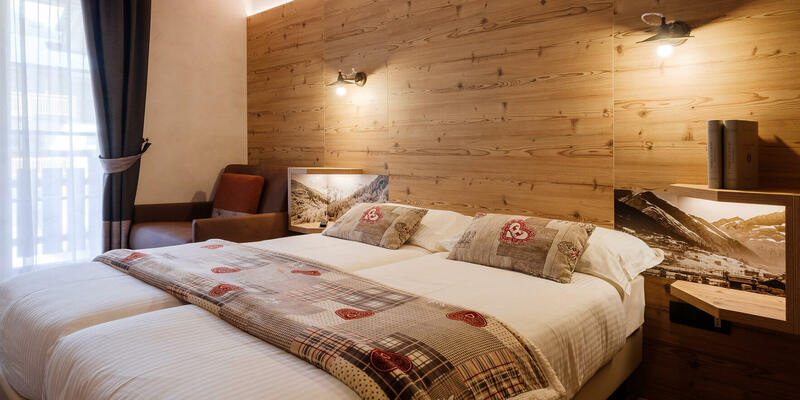 It's located in via Saroch, a quiet area of the town, at a 15-minute walk away from the center, at 20 meters from the skilifts and only 300 meters away from the cycle-pedestrian track. 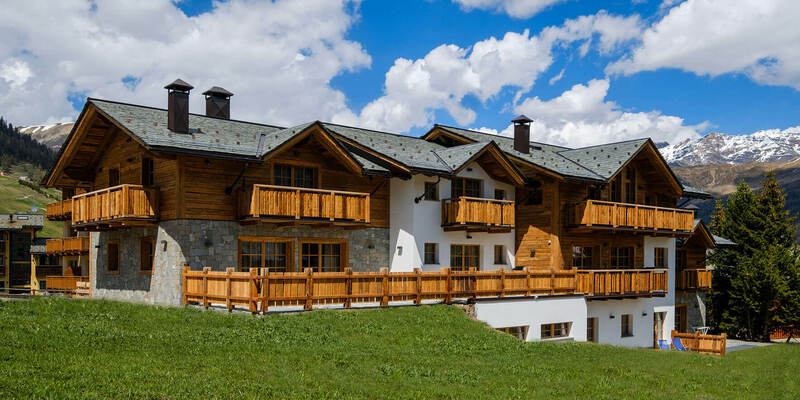 Behind the house, where there are usually ski slopes in winter, you will find a large green space suitable to let the children play and relax and enjoy the sunny hours on hot days. 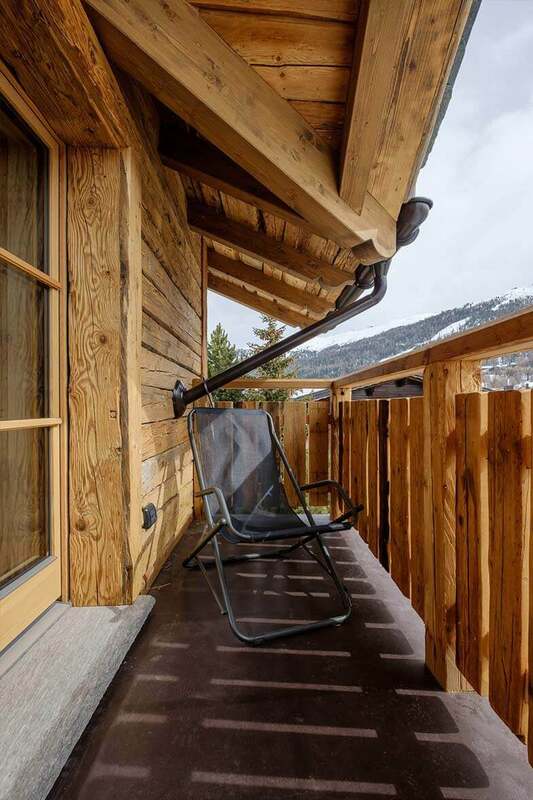 In winter, you can reach the ski lifts on foot and, snow conditions permitting, you can reach the house with your skis. 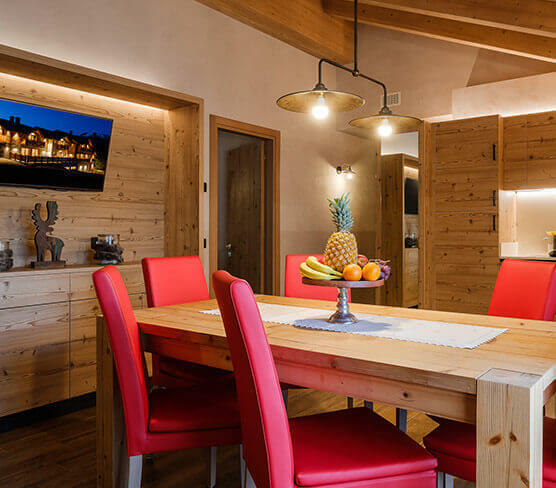 Chalet Bellavista is perfect for those who want to enjoy a peaceful holiday, in a design apartment surrounded by green but convenient to reach the main points of interest. 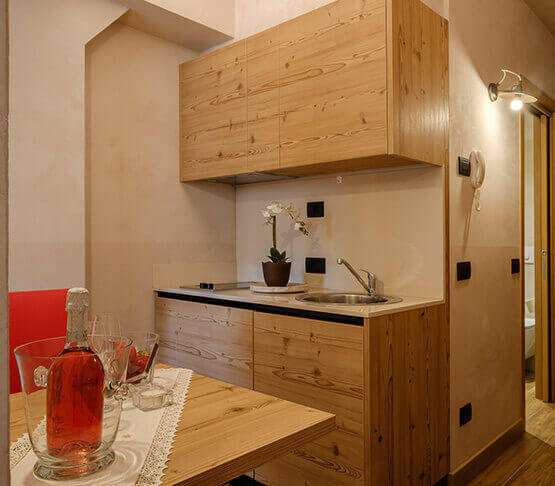 Discover our apartments and choose the one that suits your needs. 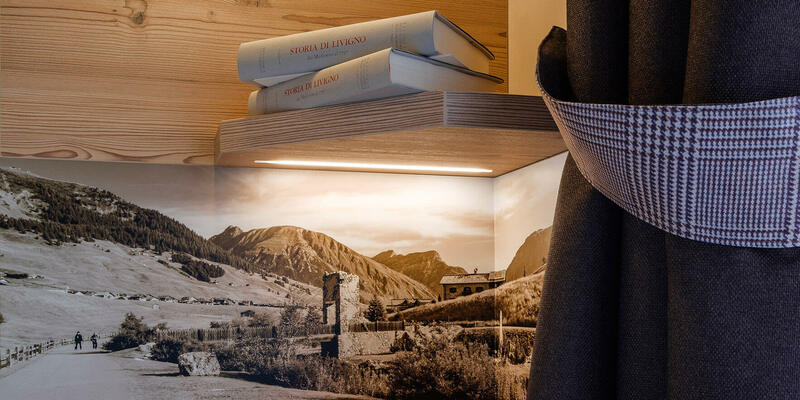 Chalet Bellavista is located in a strategic position in Livigno, just a few steps from the main points of interest, because the center is within walking distance in 15 minutes. Also at a few meters from the house you will find all kinds of shops, restaurants, bars, newsagents, butchers, a bank and a church that can be reached without the need of a car; in any case, just 30 meters far you can find a free bus stop. Just 500 meters away, you will find Plaza Placheda, the headquarters of the tourist promotion office and the kids' club. Subscribe to our newsletter to receive updates, news and exclusive offers.